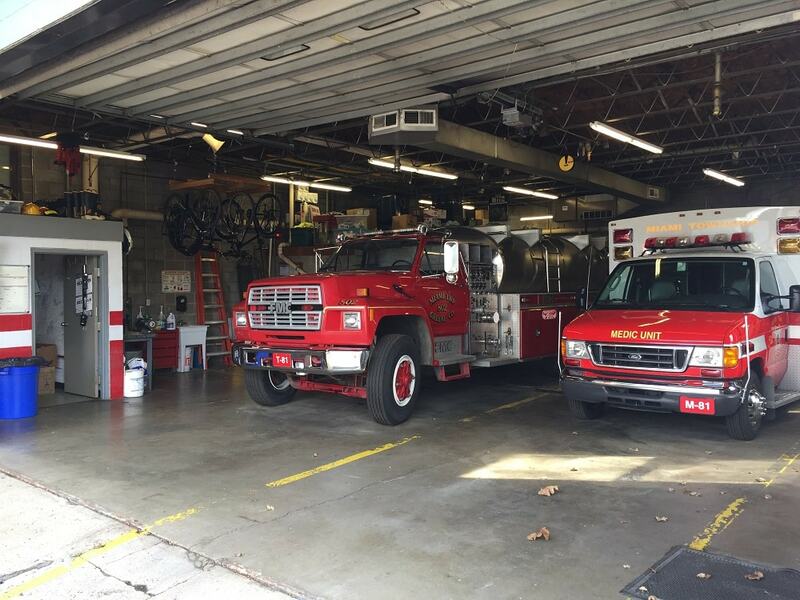 Miami Township's current fire station and administration facility, located at 225 Corry Street in Yellow Springs, has served the Township for over 60 years. 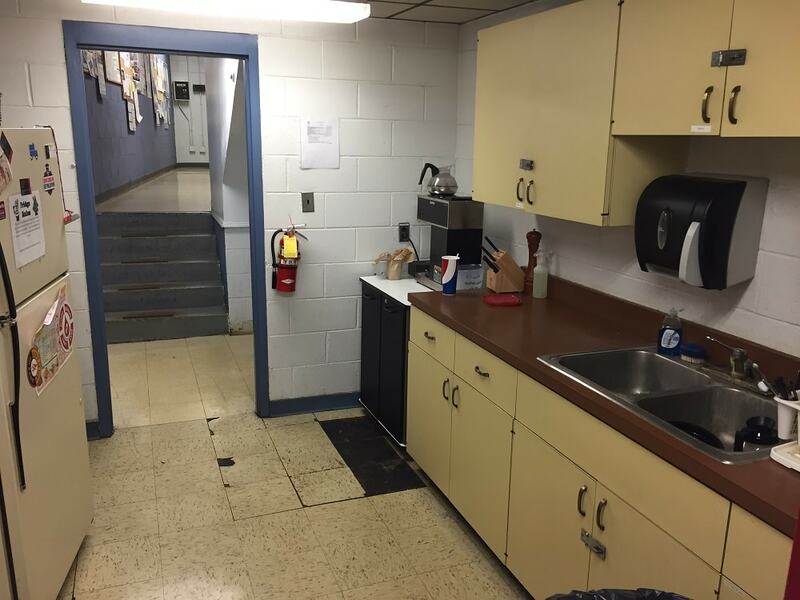 The facility has inadequate space, is unsafe, and the existing configuration rules out renovation to meet modern standards and the emergency response needs of the Township. On May 2nd, 2017 Miami Township residents will vote on a bond issue. The passage of this bond issue will allow the Township to build a new fire station at 1001 Xenia Avenue in Yellow Springs, Ohio. The new station will be part of our community for many years to come, and has received overwhelming support from many Township residents and business owners. Not only will it be a home for the Fire Department, it will be a place we all can be proud of. I support the Miami Township Fire Station Bond Issue because the need for a healthy and functional township facility is so great. 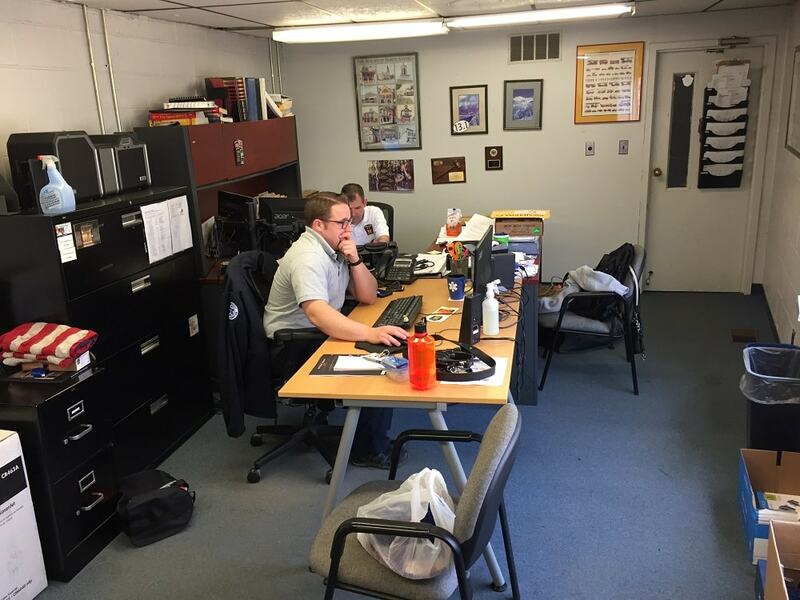 The Fire and EMS services they provide to Miami Township residents and businesses are second to none and being able to operate from a modern facility where the equipment and people are safely and efficiently housed will only improve the already excellent service. 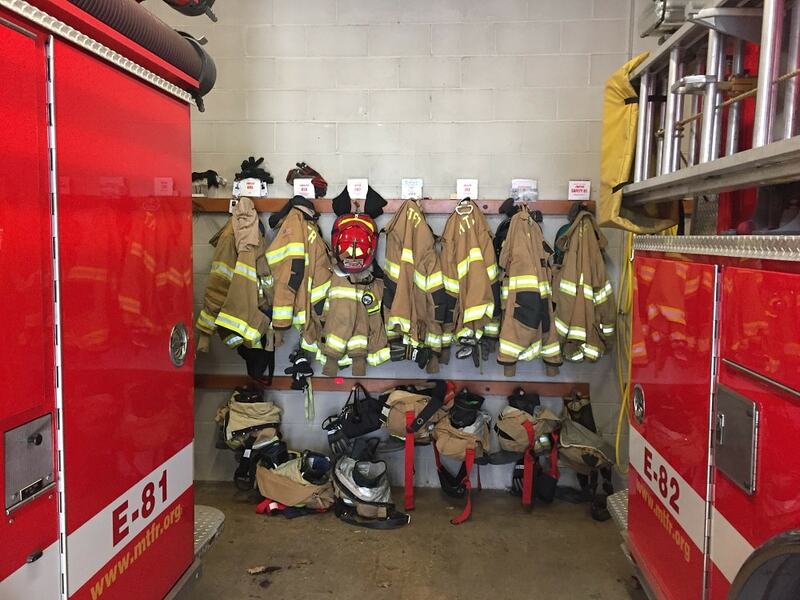 During the 1960's while a student at Antioch College I was a member of the student fire and rescue team; and learned first hand how essentially vital the women and men who serve with the Miami Township Fire and Rescue are to our community. They deserve our support and they deserve modern and the highest standards of emergency infrastructure. My husband Alex is a firefighter. He loves his job and serving the community. But at the current station, he’s constantly exposed to diesel exhaust and the cancer-causing elements from fires. The Township needs a new facility to keep our firefighters safe, so they can continue protecting the community we love. The current Station 81 was built in 1956, several years after the Yellow Springs and Clifton Fire Departments merged under the Miami Township Board of Trustees, with an addition constructed in 1981 (click here to see photos from the 1981 addition). At the time the station was built, the department responded to 18 runs per year, was staffed entirely by volunteers, and did not provide ambulance service. Today, the department is staffed by paid and volunteer members, provides advanced life support EMS, and in 2016, the department responded to 1,189 emergencies. The newer section of Station 81 houses Engine 82, Engine 81, Rescue 81, and Medic 82. This is the original part of the building that now houses Tanker 81, Medic 81 as well as Brush 81 during the warmer months. 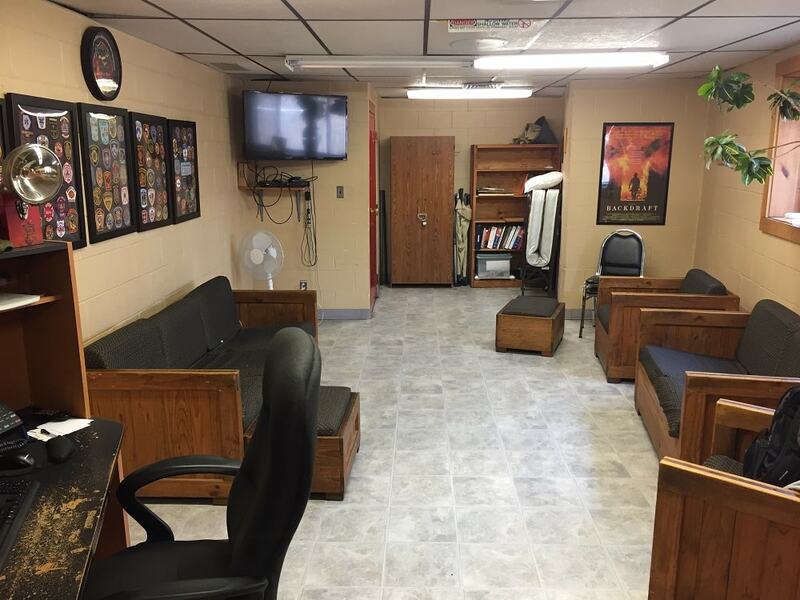 The day room is a place the members spend time together after calls and write their fire reports. At night members often sleep on the folding cot and the couches when the bunk room is full. Ast. Chief Powell and Lt. Ayers' office. 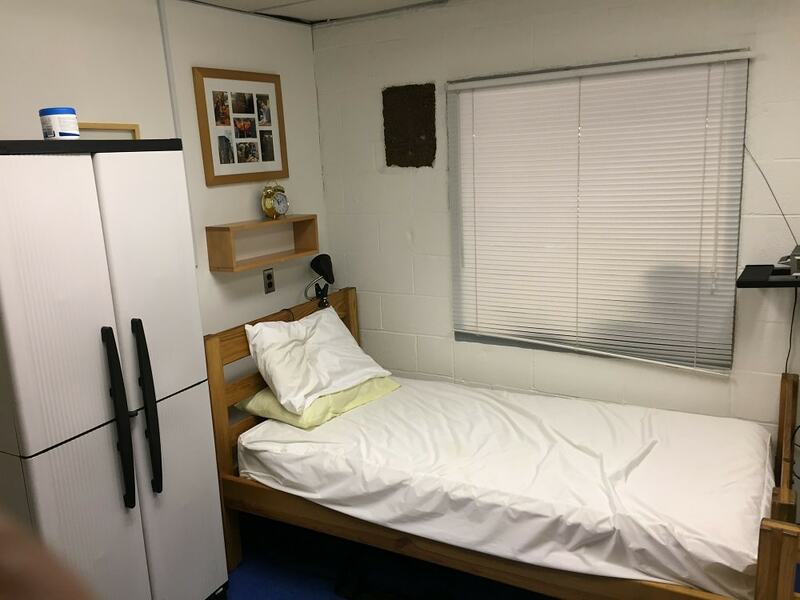 The bunk room was at one time the Fire Department dispatch center. It now sleeps two members while on duty. 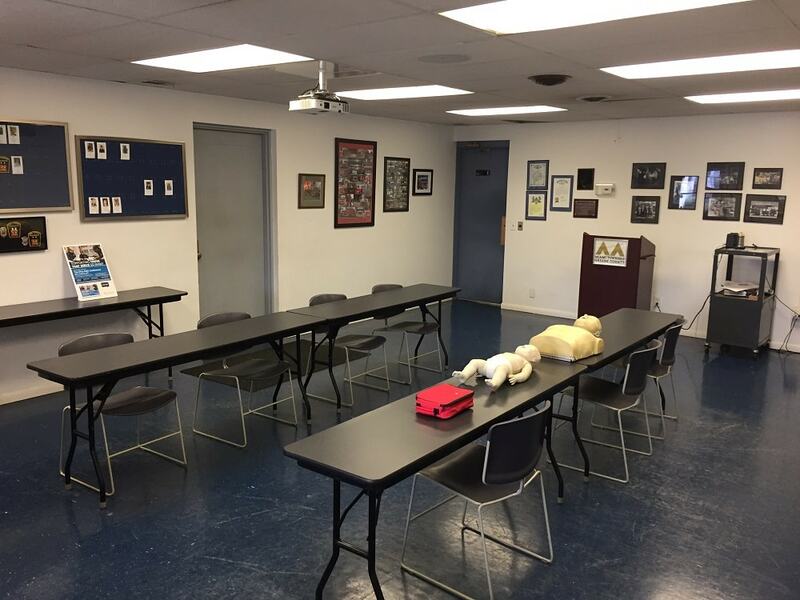 The meeting room is used for Township meetings, EMS and Fire training, and CPR certification. You can often find members here for a quiet place to work and study. Fire fighter protective gear is hanging all around the engine bay. When gear is stored in the bay it picks up carcinogens from the diesel exhaust, which is then absorbed by the wearers skin. Gear also begins to break down when exposed to fumes and sunlight. What will the new station on the new property cost? On May 2nd, the Township will place a 2.4 mill, 30-year bond issue on the ballot. 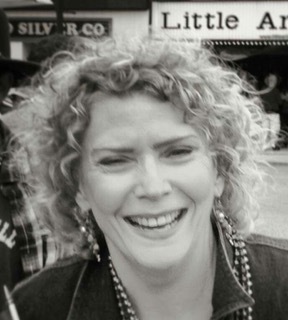 This bond will raise approximately $5,750,000. If the issue passes, it will cost $84 per year for $100,000 appraised property value (per Greene County Auditor). Why can’t you just repair the existing station? Repairing the current facility to be compliant with modern building standards is not economically or structurally feasible. To ensure the current facility meets modern health and safety standards and is capable of meeting the demands of Township residents in the 21st Century, massive structural additions and repairs would be required. This includes asbestos abatement, addition of exhaust removal systems, addition of a fire alarm and suppression system, major structural repairs, new HVAC systems, and ensuring ADA compliance. In addition, the current facility has inadequate space for modern equipment and vehicles, inadequate office and living quarters, and there is no room on the Corry Street property to build on to the existing structure. Renovation would extend the life of the current facility, but does not present a feasible long-term solution. The current Miami Township fire station was added on to in phases over the past 60 years, prior to the addition of paid staff, at a time when call volume was a fraction of what it is today, prior to the Township’s provision of ambulance service, and without anticipation of the size and scope of modern emergency response apparatus. As a result, repair costs of the current facility have continued to increase as the structure has become obsolete. Construction costs have increased since the end of the Great Recession, and are projected to continue increasing. A new facility now, as opposed to further delaying the project, will provide Township residents with further cost savings. 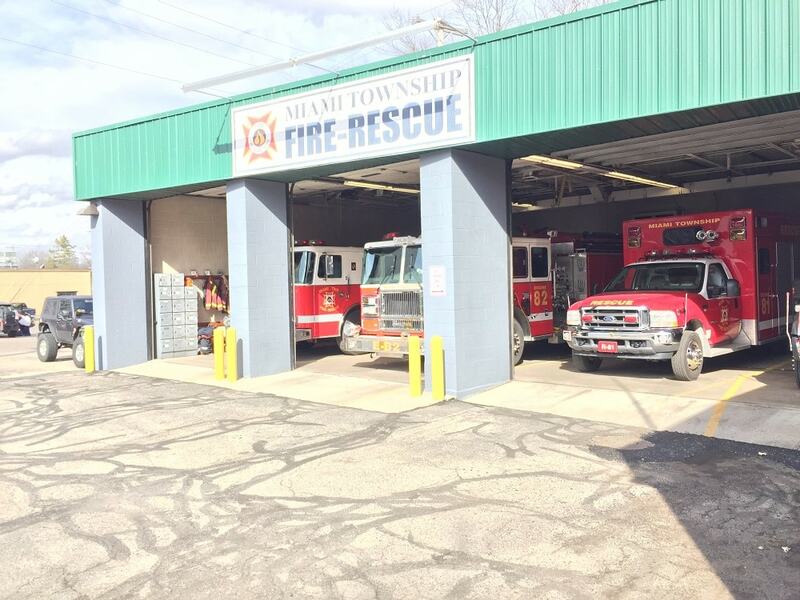 The location for the proposed new facility, the only property available of adequate size and environmental condition, offers the fastest response time possible to the vast majority of emergencies in Miami Township, consistent with national standards. Fire doubles in size every minute, and when a family member is suffering a heart attack, stroke, or other emergency, seconds count. What will happen with the current building? Eventually, the property at 225 Corry Street will be put up for sale, returning funds to the Township. Who will build the new station? Per Ohio law, the contract for construction of the new facility must be bid out, with the contract ultimately awarded to the lowest and best bidder. Is MTFR a volunteer department? Miami Township utilizes a combination staffing model of volunteer, full-time, and part-time members. 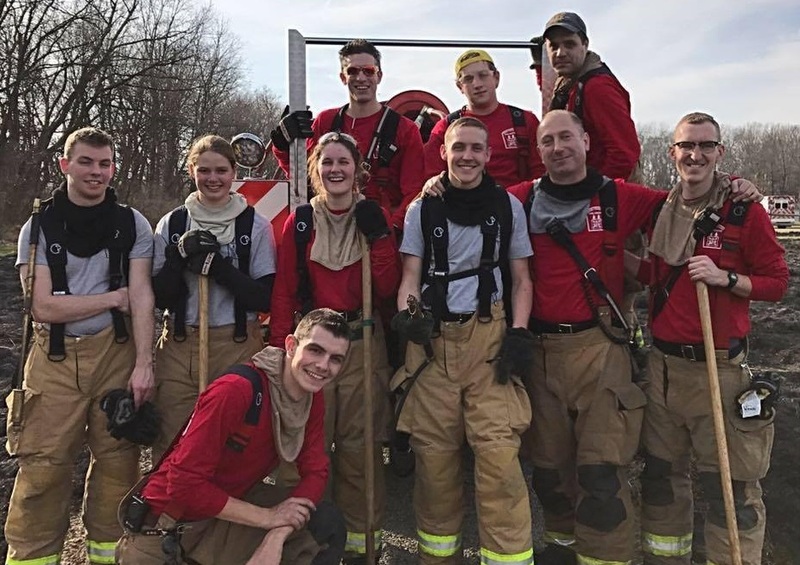 While the Township has expanded the use of paid staff due to a decreased number of volunteers and substantial increase in call volume, the department remains primarily volunteer. Paid staff members supplement—not replace—volunteer firefighters and EMTs. All members are trained to national and state professional standards, and the Department conducts hundreds of hours of training and continuing education annually. Will the new station have public space? Yes. The new Township facility will have space that is more adequate than the current facility for Board of Trustee meetings, and will be made available to community groups upon request. In addition, the new facility will be more practical for community CPR/first aid training, public education/fire prevention, and if needed, as an emergency operations center. Will the new station be staffed 24/7? Full-time, part-time, and available volunteer members staff the station and respond to emergencies from 7:00 A.M. to 7:00 P.M. daily. At night, volunteers are scheduled to respond to emergencies. 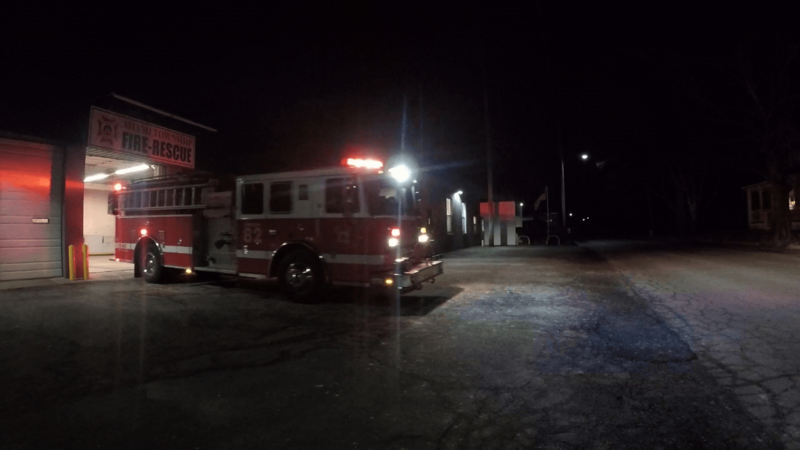 Most of our volunteers live outside of the Township and spend the night at the fire station. As our call volume continues to climb, a new facility will allow the Township to anticipate and meet the staffing needs of the future. Will the new station be environmentally friendly? The current facility is not energy efficient or environmentally friendly. The new facility will save on energy costs and reduce our environmental impact. This includes multiple skylights and windows to maximize use to natural light, reducing the need for electricity; energy-efficient LED lighting; and a geothermal HVAC system. What are the specs of the new station? The new Township facility will be approximately 20,000 square feet, located on 1.9 acres. This will provide ample space for Township business and the emergency response needs of the fire department. Can I tour the current station? Members of our community are always invited to tour the fire station and learn about how MTFR’s members provide fire and emergency medical services. Several scheduled open houses will be scheduled before May 2nd. 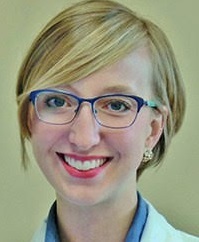 Please keep in mind that due to ethics regulation, paid staff members are prohibited from advocating for the ballot issue while on duty. Don't worry, there are often non-paid members that would love to show you around. Has the current station been properly maintained over the years? Yes. The Township has provided routine maintenance on the station over the years, but the building has become obsolete when faced with the changing emergency response needs of the Township. For example, the current station is outfitted with doors that are too narrow and short for modern fire engines and ambulances. The new facility will be built with anticipation of future needs. Can I have a yard sign to show my support for the issue? You bet! Please use the contact form below to let us know you would like one. Please use the form below to ask any questions you have about the bond issue.